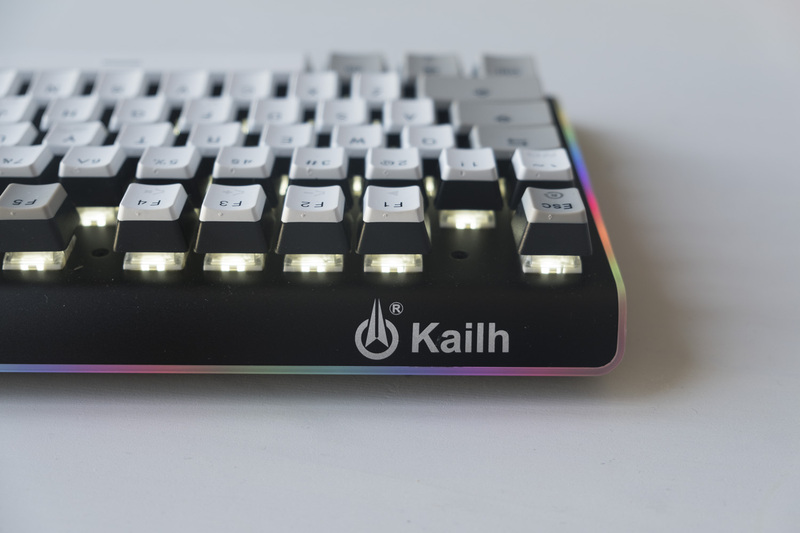 Today, we have a special treat: a limited edition commemorative keyboard made by Kailh to showcase their new Box White switches. 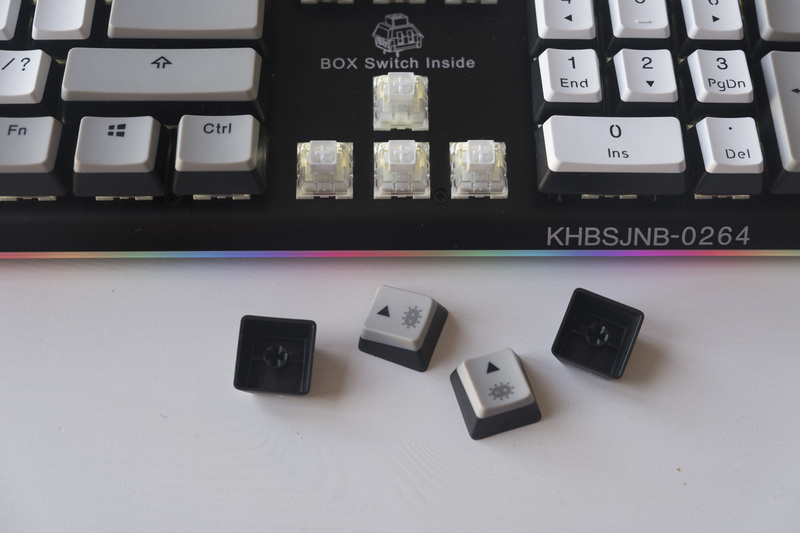 These clicky switches are sealed to prevent water and dust ingress, but they also offer an interesting shorter travel and lighter weight than standard Cherry MX Blue switches. That should make them good for both typing and gaming. 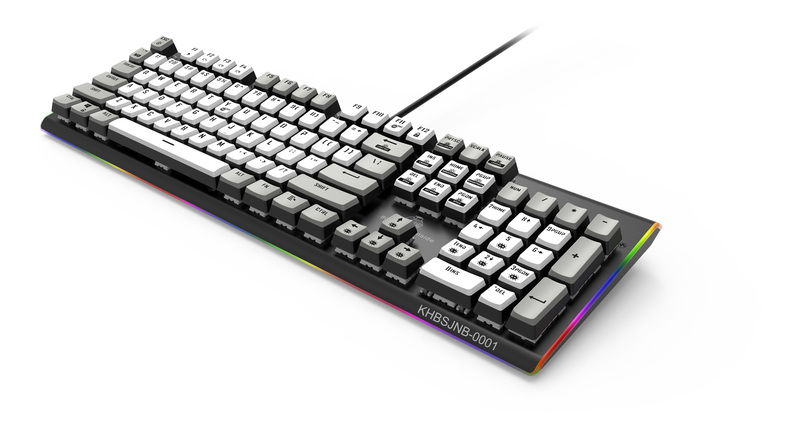 Combined with PBT keycaps, a full-size layout and RGB side lighting, and this special keyboard could be more than a showcase — it could be a legitimately good choice at $79. Let’s put it to the test and see how it performs. The Kailh Box Switch keyboard has quite a few unique features. 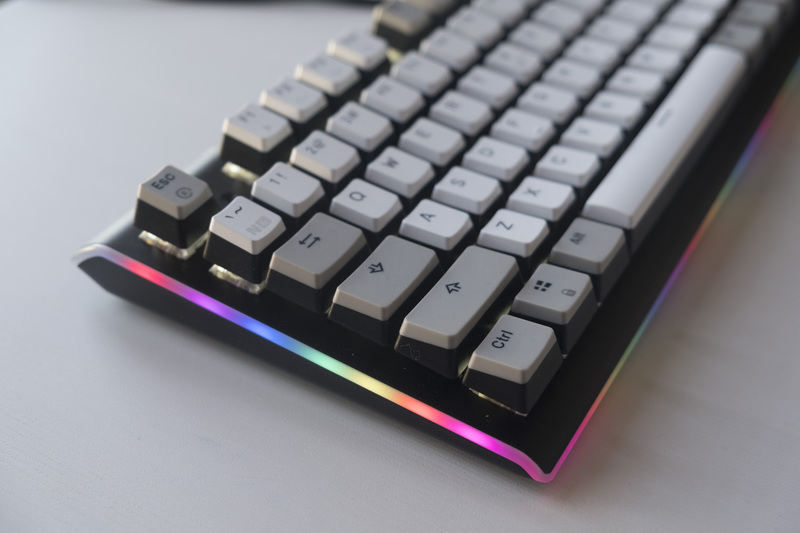 The most notable is the RGB strip that runs around the whole perimeter of the board, and lights up in a rainbow or your choice of several static colours. The keycaps are also unusual. They’re made from PBT, which is more durable and long-lasting than the more commonly seen ABS. They’re also dual-layered, with white or grey on the top and black at the bottom. It’s an interesting look for sure, but there are also some issues here. The type face chosen for the legends is a little amateur-looking compared to something like Futura or Helvetica, and the legends aren’t backlit by the white LEDs in each switch. Speaking of the switches, this Kailh keyboard was made specifically to show them off. They’re the company’s new Box switches, an evolution of the Cherry MX switch with a literal box around the cross stem. You can see what I mean in the picture below, which was done by Kailh themselves. The eponymous box (and some other changes) provide IP56 resistance to each switch, allowing the keyboard as a whole to shrug off moderate dust or water exposure — pretty neat. That added protection also ups the total number of operations that the switch is expected to endure in its lifetime, from 50 million to 80 million. In short, this switch should work for much longer than even its mechanical contemporaries. 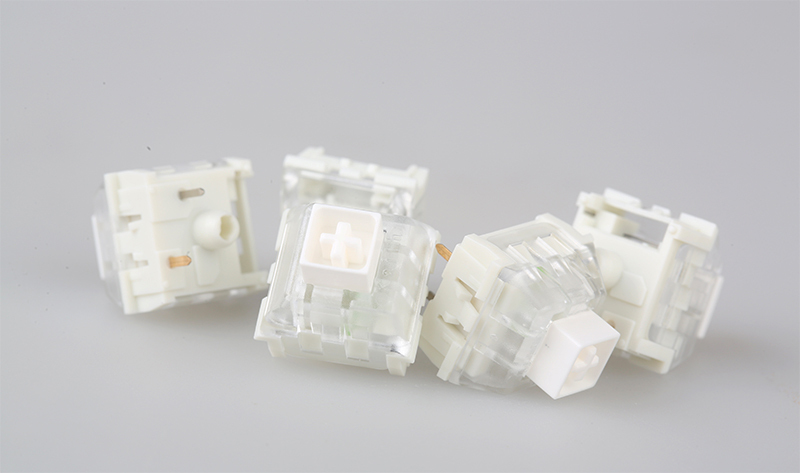 Kailh make four different Box switches, but this is the most interesting one by far: the clicky and tactile White switch. It has the same 3.6 millimetres of total travel as the other switches in the lineup, making it shorter than the 4mm Cherry MX Blue switch that it most closely resembles. It’s also much lighter than that switch, requiring just 45 grams of force to actuate compared to 50 or 60 for the Blue (depending on manufacturer). I could happily ramble all day about the minutiae of these switches, but let’s move onto the fun part: actually testing out this keyboard! I used the Kailh Box Switch Keyboard for a period of two weeks to really break it in and give it a good showing. During this time, I used it for my full-time job as a technology writer, plus my full-time hobby of video gaming. These past few weeks were mostly dominated by the singleplayer and multiplayer portions of Call of Duty: World War II, but I also spent time in other worlds: StarCraft II, American Truck Simulator, Armored Warfare and Counter-Strike: Global Offensive. Here’s what I think of the keyboard. 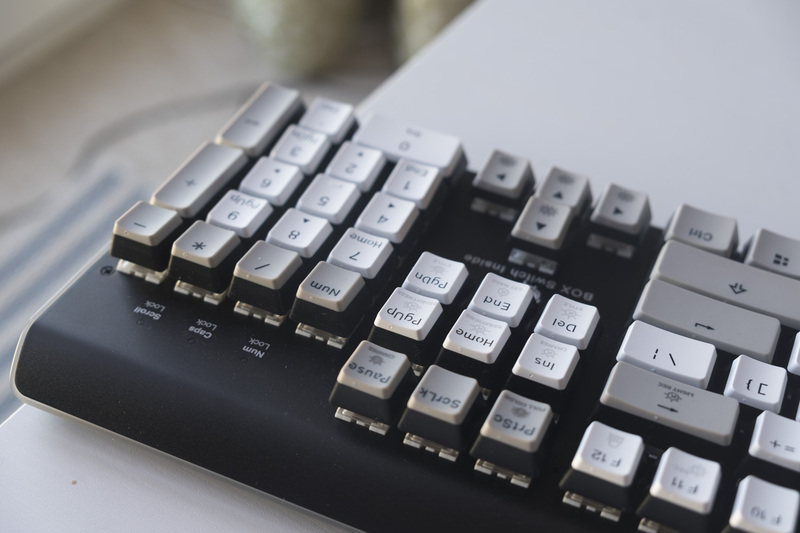 The heart of any mechanical keyboard are its switches, and after using this keyboard for a while it’s easy to see why Kailh created it. These switches are an absolute pleasure to use, giving you gobs of tactile and audible feedback as each letter appears on-screen. The switch’s unique click mechanism is responsible for this, and it’s working to perfection here. You’d expect this kind of feedback from traditional MX Blue switches, but at the expense of a bit of fatigue from the higher actuation force. Here, that drawback isn’t in play at all, and the keyboard feels as light and easy to use as the MX Brown switches I normally rely on. I even prefer these Box switches to the recently released Input Club K-Type and its Halo Trues, which I never expected. Enough about the switches. What about the rest of this keyboard? Well, the full layout is handy for working with numbers, like doing your taxes, although I still find it a bit uncomfortable to shift my keyboard so far to the left to ensure my mouse still has enough space to move. The lack of backlighting for the legends on each key is a bit annoying, but it’s easy enough to switch out the keycaps if necessary due to the keyboard’s standard ANSI layout. The media keys that have been included work well enough, allowing me to play/pause and adjust the volume, although skipping tracks would have been a nice inclusion as well. The other side of the coin: gaming. These clicky switches provide lots of feedback when each key is pressed, but it’s a little harder to rapidly double-tap keys than on linear or tactile keyboards. Still, the shortened travel distance is helpful to ameliorate this difference somewhat. In my view, these clicky white switches are a little less suitable for shooters and MOBAs, but excellent for strategy and simulation titles where accuracy trumps speed. Of course, each person is different, and even esports professionals within the same game prefer a wide range of switches to play on, so make up your own mind! Apart from the switches, the full layout of this keyboard means it takes up quite a bit of room on your desk. You may have to use your keyboard at an angle for gaming on small desks, and even on large desks you may find that your arms are uncomfortably far apart. Still, fans of games with a great many keyboard controls (such as simulations and some strategy titles) will appreciate having as many keys as possible to use in-game. When I first unwrapped the Kailh Box Switch keyboard, I didn’t have high expectations — I was expecting a standard mechanical keyboard with some kooky but ultimately forgettable switches inside. Instead, this keyboard has converted me: these Kailh Box White switches are actually top-notch, good for gaming and excellent for typing. I hope that these switches will gain some traction, as they’re well worth trying for yourself. 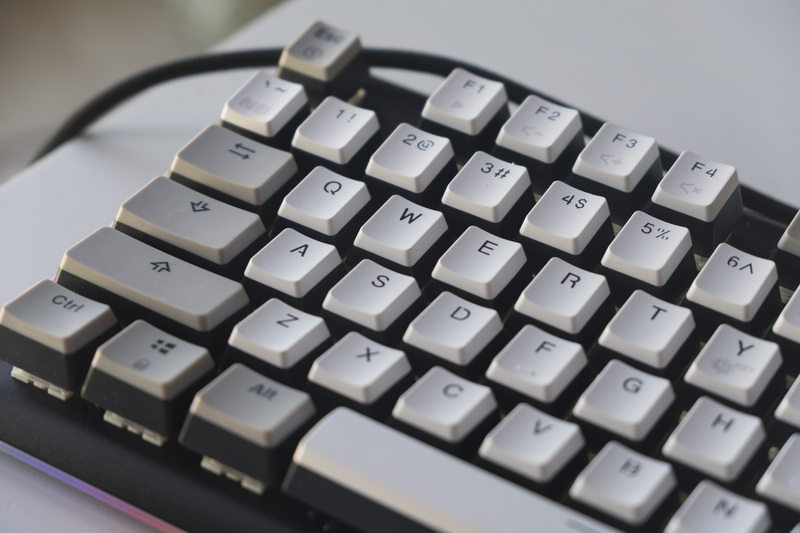 In the meantime, you can contact Kailh directly if you’d like to a Commemorative Keyboard for yourself. 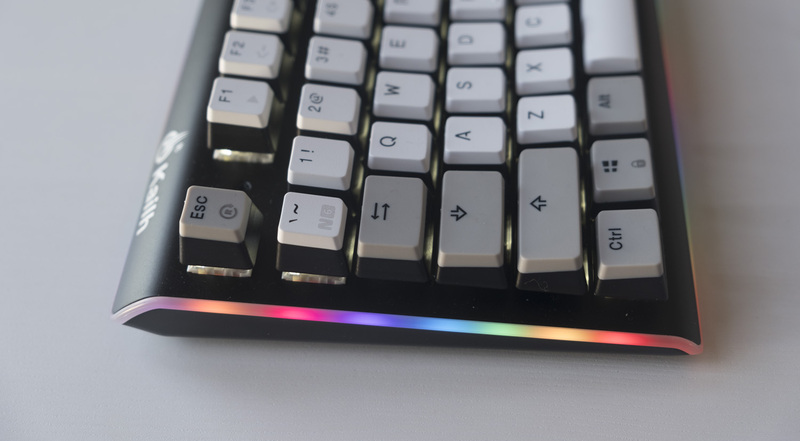 While its full size might not suit everyone, it does use quality PBT keycaps and have a fun RGB surround lighting setup. Only 1000 units exist, each individually numbered, but they are available for a reasonable price of about $79.